The Sherpascopic is compact for storage as there are no loose parts. It is easily manoeuvrable and can be moved whilst open for short distances. Integral stabilisers with safety interlock provide lateral stability. Platform cannot be erected without first deploying the stabilisers. Stabilisers are adjustable for use on uneven ground. 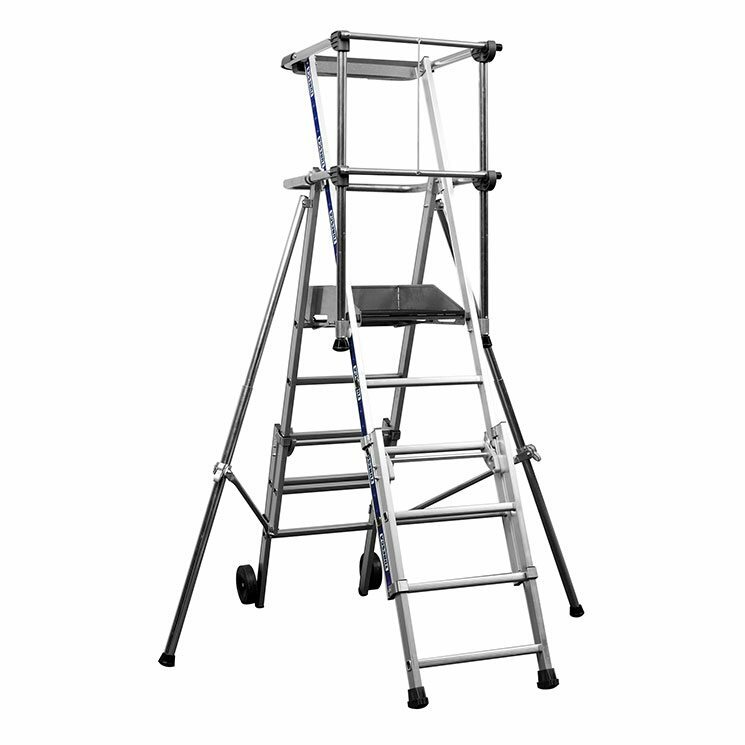 Very stable design.Prevention of toppling from front, rear and sides. Compact when closed, 2.38 x 0.8 x 0.4m. Easily maneuverable with large 200mm diameter wheels.Easy height adjustment.Stabilisers may be closed for use close to walls.